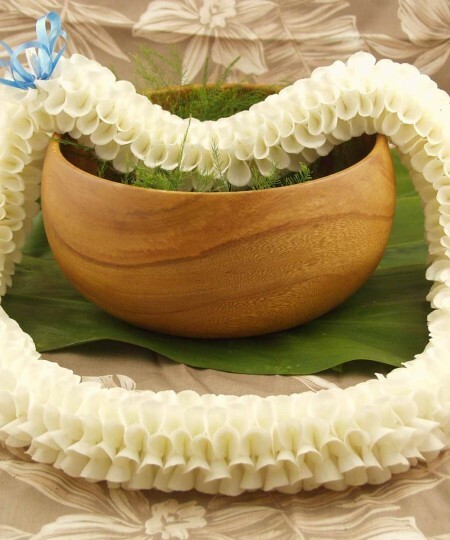 Categories: Fresh Wedding Leis, Graduation Leis, Hawaiian Flower Leis, Hawaiian Leis and Corsages, Premium Leis, Specialty Leis, White Leis. 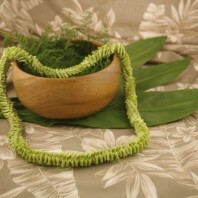 Flora lei are among the most beautiful due to the sewing style used by our lei makers. 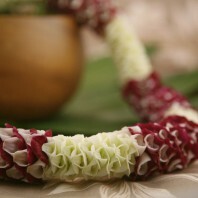 Their skilled hands begin with exotic white dendrobium orchids. 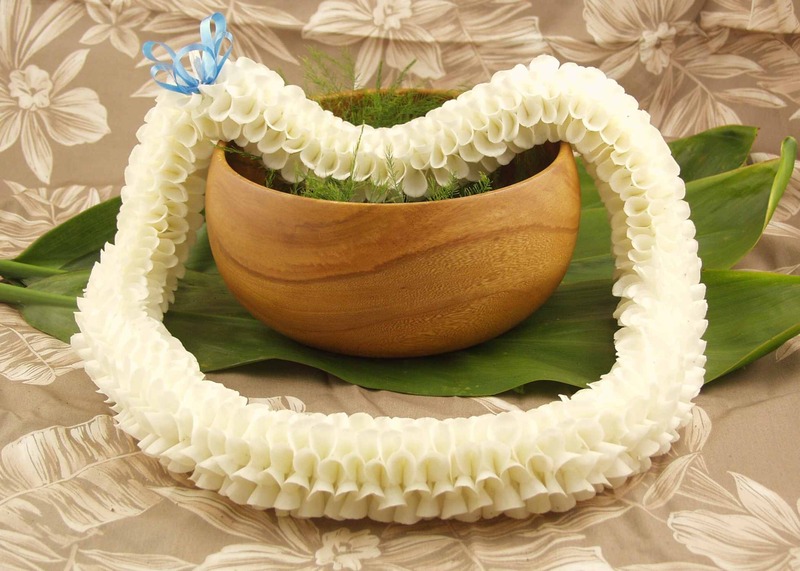 This Hawaiian lei is then made using a thick and round spiral. 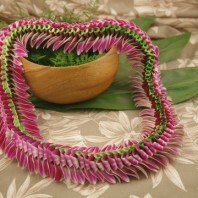 This makes a full and elegant lei. It is a little over thirty six inches in length. The width is about two inches in a round shape. Each orchid blossom is folded and strung to perfection. 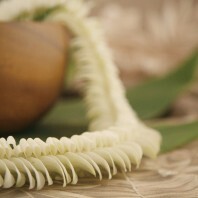 This gives an almost honeycomb look to the texture of the lei. 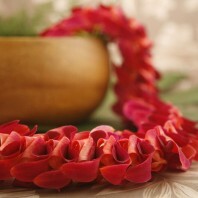 The lei is prized for it’s complex design and is not considered fragrant. 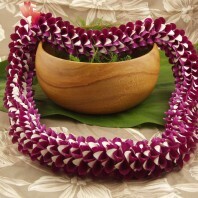 The solid white makes this a very feminine lei. 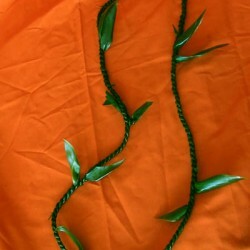 It would be worn at a wedding or as a graduation lei. It is suitable for any occasion to honor the wearer. It should be worn draped over the shoulders. White is not available until after May 21. 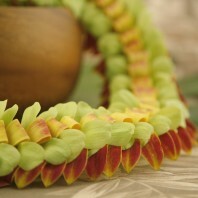 As with all of our premium leis the Flora lei takes some time to make. So please place your order with plenty of time to spare. We always ship for your order to arrive on the date you select when you check out on line. Mahalo. 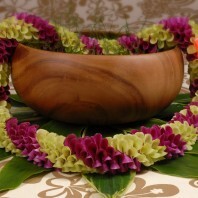 This orchid lei is easy to care for. 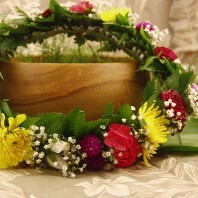 Just mist with a bit of water and refrigerate in a bag until you are ready to give or wear the lei.